This week’s map comes from a report we released earlier this week that looks at how state and local road spending is funded. 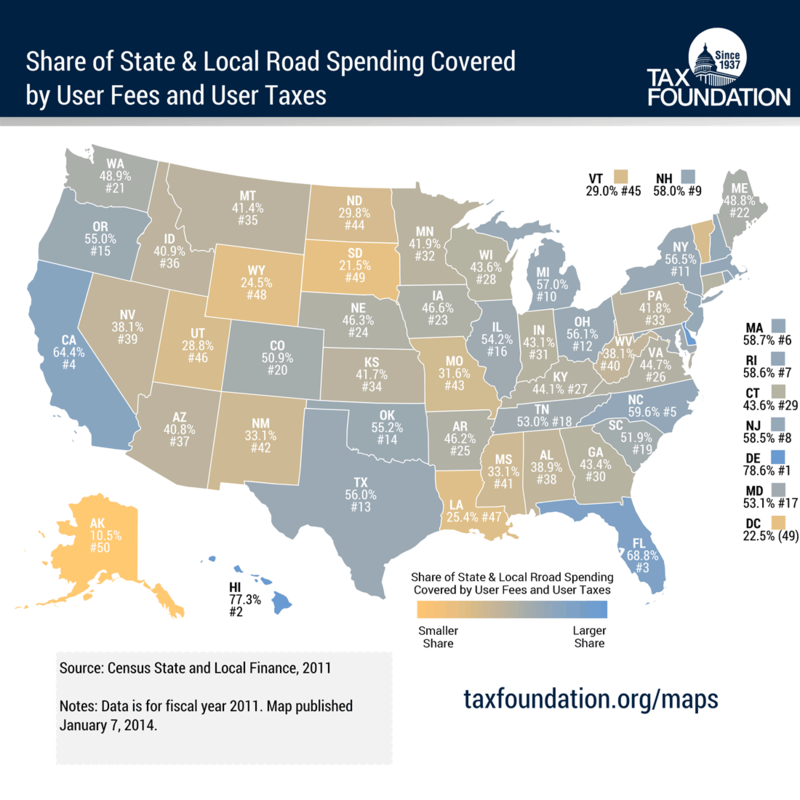 This map looks specifically at the share of state and local road spending covered by user fees and user taxes. Delaware comes in first place due to 78.6 percent of its road spending being funded by user fees and user taxes. Hawaii (77.3%) and Florida (68.8%) are close behind. By contrast, Alaska (10.5%), South Dakota (21.5%), Wyoming (24.5%), and Louisiana (25.4) raise little of their transportation spending from user fees and user taxes, instead subsidizing it heavily with general revenues.